Detective Sergeant Yvonne DiPalma is near the top of her career… A member of the elite Terrorist Task Force, DiPalma will do anything to stop terrorism, even if it involves getting her hands dirty. But when a bomb explodes on a train track, killing the driver and horribly wounding a police officer on board, DiPalma will be under more pressure than ever before. Not only does she have to catch the bombers, but she has to do it before they strike again. All they have to go on is a note, a note that promises another bomb in barely more than a week.A note signed by someone calling themselves Armageddon. 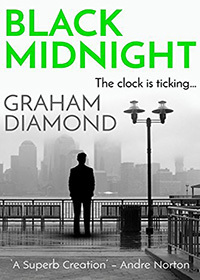 DiPalma may have been prepared to get her hands dirty, but as the clock ticks down, she will be forced to do things she never would have imagined. She must stop Armageddon… no matter what kind of person she has to become to do it. 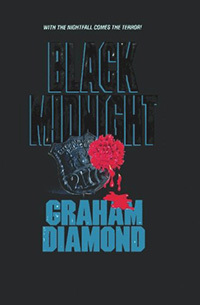 Black Midnight is a gripping thriller filled with tension and suspense.